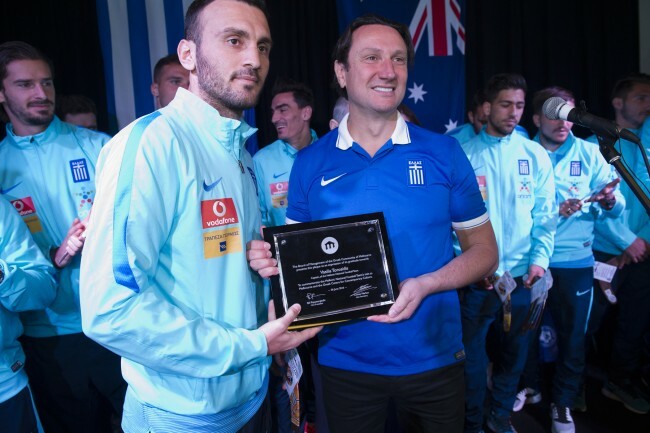 The Victorian Government together with the Greek Community of Melbourne welcomed Greece’s National Mens Football Team yesterday morning at a function held at the Greek Centre overlooking Lonsdale Street. The team is in Melbourne to play a friendly against the Caltex Socceroos on Tuesday 7 June at Etihad Stadium. 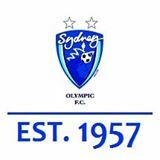 Co-hosted by Minister for Multicultural Affairs The Hon Robin Scott, Minister for Sport The Hon John Eren and the Greek Community of Melbourne represented by President of the organisation Bill Papastergiadis, the event was attended by a number of key dignataries including Consul General of Greece to Victoria Christina Simantraki and President of the Hellenic Football Federation George Girtzikis, all of whom spoke about their enthusiasm at seeing Australia and Greece unite through sport. Also in attendance representing the Victorian Government were; Minister for Families and Children The Hon Jenny Mikakos. 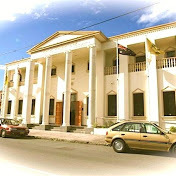 Minister for Small Business, Innovation and Trade The Hon Philip Dalidakis and Chair of the Victorian Multicultural Commission along with the President of the Legislative Council The Hon Bruce Atkinson, Speaker of the Legislative Assembly The Hon Telmo Languilier and President of the Greek Community of Melbourne Bill Papastergiadis. 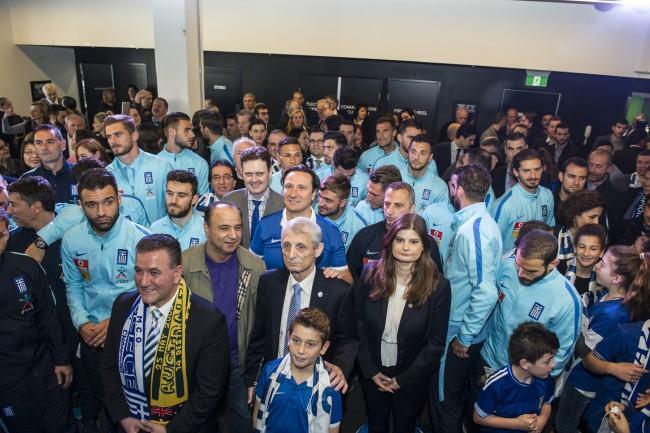 Minister for Multicultural Affairs The Hon Robin Scott praised the Greek community for ‘its critical and central role in building multiculturalism, in having pride in identity but also in contributing to society.’ Captain of the Greek team Vasilis Torosidis was humbled by the response his team had received since arriving in Australia and hoped ‘to make all fans proud’ at the match. Torosidis introduced each player, all of whom who were presented with gifts by some of their youngest fans. Minister for Sport and Tourism, the Hon John Eren announced how proud he was to be Minister at a time when Melbourne held the title of sporting capital of the decade. 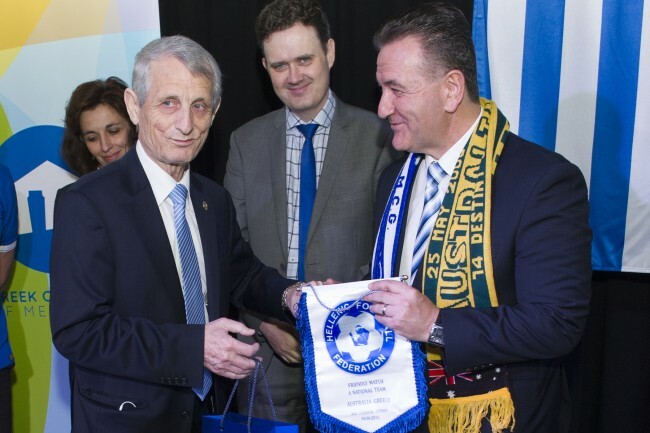 Echoing similar sentiments to Minister Scott, Minister John Eren was quick to point out how much Melbourne ‘loves its Greek population’, and with that comes ‘cultural ties, business and trade possibilities’ as well as ‘important tourism ties’ emphasising ‘what better way to bring all of those ties together than though sport.’ He also expressed how important it was for the Socceroos to be exposed to high calibre teams like Greece, who are currently ranked in the top 40.